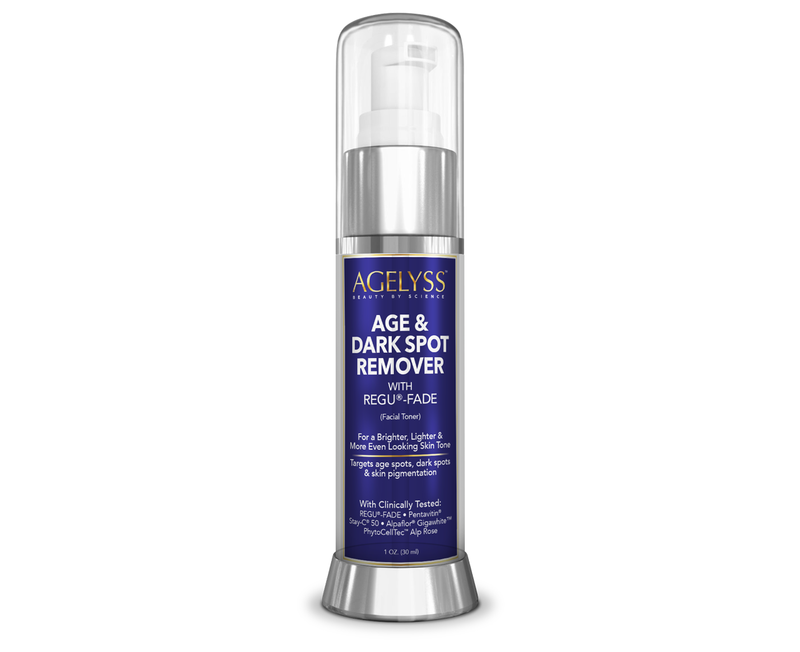 Agelyss Age & Dark Spot Remover - Does This Product Work? Improve the tone and texture of your facial skin by erasing the dark, telltale signs of aging. Agelyss™ Age & Dark Spot Remover safely and powerfully delivers a potent combination of 5 clinically-proven trademarked, patented active ingredients to even out and brighten dull and blemished skin. This Serum visibly evens complexion, lightens dark circles and spots, reduces hyperpigmentation, fades discoloration and reverses photo-aging damage. You are left with luminous, smoother and younger looking skin that truly glows. Water, Acrylamide/Sodium Acrylate Copolymer, Saccharide Isomerate, Glycerin, Mineral Oil, Kojic Acid, Sodium Ascorbyl Phosphate, Alpha-Arbutin, Resveratrol, Prunus Amygdalus Dulcis (Sweet Almond) Oil, Tocopheryl Acetate (Vitamin E), Panthenol, Aloe Barbadensis Leaf Juice, Malva Sylvestris (Mallow) Extract, Mentha Piperita (Peppermint) Leaf Extract, Primula Veris Extract, Alchemilla Vulgaris Extract, Veronica Officinalis Extract, Melissa Officinalis Leaf Extract, Achillea Millefolium Extract, Panax Ginseng (Ginseng) Root Extract, Rhododendron Ferrugineum Leaf Cell Culture Extract, Isomalt, Lecithin, Citric Acid, Persea Gratissima (Avocado) Fruit Extract, Alcohol, Camellia Sinensis (Green Tea) Leaf Extract, Euterpe Oleracea (Acai Berry) Fruit Extract, Cucumis Sativus (Cucumber) Fruit Extract, Citrus Bergamia (Bergamot) Fruit Oil, Phenoxyethanol, Ethylhexylglycerin, Sodium Benzoate, Lactic Acid, Trideceth-6, Sodium Citrate, Dimethyl Sulfone (MSM), Tetrasodium EDTA, Potassium Sorbate. SUGGESTED USE: Massage directly onto the entire face and neck. For best results, apply daily, throughout the day. Apply under moisturizer. Suitable for all skin types. 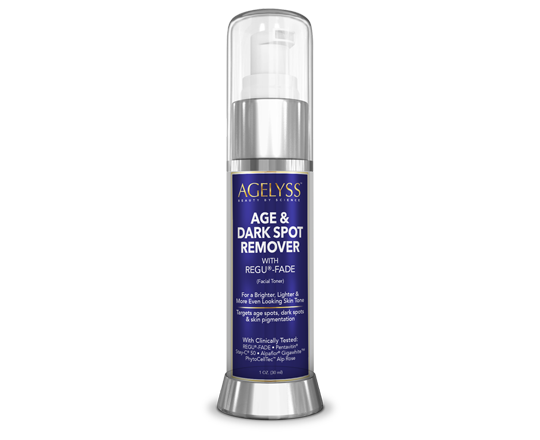 How does Agelyss™ Age & Dark Spot Remover work? An uneven skin tone is primarily caused by an imbalanced distribution of pigment, sun exposure, hormonal changes and sometimes due to a buildup of dead skin cells. Using Agelyss™ Age & Dark Spot Remover can help to even out your skin tone, fade sun and age spots, promote a healthy and radiant glow and fight the typical signs of aging. In the long-term, it can also prevent melanin production which will maintain a uniform and youthful-looking complexion. For best results, we suggest daily use. Massage the Age & Dark Spot Remover directly onto the face (including the eye area), neck and/or desired area of the body, at least two (2) times daily. It can be applied more often if necessary. You may adjust your own personal usage to what works best for you. Is Agelyss™ Age & Dark Spot Remover only for women? 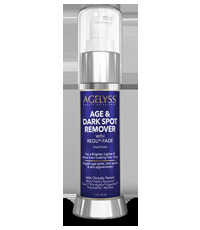 No, Agelyss™ Age & Dark Spot Remover is made for both men and women, and works equally well for either gender. Everyone is unique, so the timing of results will vary from person to person. Many customers observe results immediately whilst others take several days. The long-term effects are often not noticeable for up to 4-8 weeks. All our products come in airtight sealed containers to ensure freshness and maintain the integrity of the formulas. Our serums come in hermetically sealed pumps to combat contaminants that may jeopardize the quality of the products. "This cream isn’t a miracle, but it really works and comes at a great price point which is why I am compelled to give it 5 stars. Evening out my skin tone and lightening my facial skin has caused me to look years younger. " "I have melasma on my upper lip from a hormonal imbalance. I am 30 years old with an olive complexion and moderately sensitive skin. I saw amazing results from this serum after 4 days of day and night usage. " "I had several hyperpigmented facial sunspots - one of them for over 20 years! I've tried so many brightening creams but none of them have even brightened my spots, until now. I am thrilled to finally find this serum!" "My skin is noticeably softer and smoother since I started using the Age & Dark Spot Remover. My makeup goes on very smoothly and I don't need as much because my skin is so glowy!!" "I've been using this lightener for a while now and every time I try something new, I always come back to this one. I can see a noticeable difference when I stop. It is affordable and effective." "Love this serum. It is soft, light, non-oily and has a wonderful scent. I've been using it for a couple of weeks both at night and in the morning and I can truly say that my skin tone is lighter and more even." "I like to educate myself on the latest research when it comes to skin care ingredients...I'm not swayed by gimmicks or clever packaging. This serum has an excellent formula and delivers real results." "I've tried a lot of other creams to fix my dark spots and nothing has worked for me until this one. I'm 2 1/2 weeks in and I can see a huge change in the dark spots on my face. This is a great product!" "My face looks amazing without makeup thanks to this serum, and that's an incredible feeling! Thank you for creating a product that actually works!" "This serum is lit! I have a horrible dark scar from a burn. I seriously never thought anything would help it because I have literally tried everything. Well, I am a true believer now. Thank you!!!" "My skin is so light that any discoloration really stands out. My mom told me to try this product, and like they say "Mama knows best!" I really recommend trying it for any discolorations." "Since using this product, my skin has become more radiant, my lines have diminished and my skin has lightened up giving my complexion a more youthful look." "Love this serum. I have used a lot of expensive skin care products, but this is tops them all in terms of brightening and toning my facial skin." "I really like this brightener! It is light but also powerful. During the day, I use it under makeup and at night, I layer it under my moisturizer. My skin has lightened up and is noticeably smoother." "I've been trying out different Agelyss products to see how this skincare line works together and if I actually need all these creams. I've noticed that when I Age & Dark Spot Remover, I have no need for foundation. " "I'm so happy that this serum works well with my very sensitive skin. I feel better and brighter everyday!" "For years I used an extremely pricey skin care brand but after reading labels, I realized I could find products for much less with the same ingredients. I'm so glad I switched to Agelyss! My skin looks even better now!" "I have been applying this once a day in the morning for the last couple of weeks and my skin looks and feels great. I have noticed a definite brightening and lightening in the dark circle areas under my eyes. " "While I am in my sixties, I look like I am in my forties. People do not believe me when I tell them my real age. This is a fantastic product! " "This serum is just great! I have tried about every anti-aging product out there and I can truthfully say that this product beats them all. It is an excellent value and it actually works." "I have been using this serum for 5 days and I can already see the difference. My facial skin has some uneven skin tone and it is starting to appear a lot more even. I'm excited to have found this product!" "I wasn't sure if I really needed this serum in addition to all of my other creams. I was actually surprised by how it cleared my skin and left it looking like it glowed. I've been recommending it to everyone!" "My freckle face is very cute (if I say so myself!) but it's not easy to be taken seriously with it. After using this product, my freckles have faded making it much easier for me professionally." "My skin tone has become quite uneven over the last 3 years. I've tried many products but now that I've tried this one, I don't need any others! " "I used to use a lot of makeup to conceal my patchy skin, but now I don't have to. It's so liberating now! I don't have to worry that my makeup will be washed off everytime I go swimming. I really love this cream!" "I love to hike but my skin has really suffered from years of walking in the sun. I moisturize daily and cover myself all the time but I have never been able to remove the existing sunspots from my skin....until now." "I remember seeing my grandmother's liver spots and swearing I would never have them. Thanks to the lightening effects of this serum, I never will!" "I keep fit, in part because I never want to have "old lady arms". However, my age spots on my forearms were starting to become quite noticeable. Thanks to this serum, I am able to enjoy my arms once again." "I deeply regret the time I spent in the sun during my 20s and 30s because of the damage to my skin. Unbelievably, the Agelyss Age & Dark Spot Remover is like going back in time and being reaquainted with the skin of my youth. " "I hate my acne scars but I can't afford expensive laser treatments so I'm always searching for alternatives which is why I am so obsessed with this serum. It has made my scars so faint that you can't even see them!" There are literally hundreds of skin care manufacturers online all claiming to have the best products. But how do you know who to trust? And more importantly, how do you know which Skin Correcting Serum is actually going to work for you? With all of the products out there, you want to make sure you get the highest quality Skin Brightening Serum available, period. Agelyss™ was created to help you find the best possible skin care and beauty products on the market, based on extensive research. 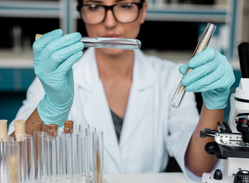 Our team, at Agelyss™, concentrates on the clinical data and actual science to make sure you get the most effective Skin Correcting Serum on the market, hands down. We will guide you through our process of what to look for and what to stay away from. At the end of this page you will have a firm understanding of which Skin Correcting Serum is going to help you and why. Hundreds of companies and marketers have already jumped on the skin care bandwagon to try and create their own version of a Skin Correcting Serum. Most of them disregard the research and put together inferior products to try and cash in on the latest skin care, health and beauty trends. Most Skin Correcting Serums don't work to brighten dull skin as they only contain 1 active ingredient, 2 if you're lucky. These products are watered down with about 98% inactive ingredients. We urge you to look into any Skin Correcting Serum you buy to verify what their active ingredients are. At the end of the day, you want a product that will work for you. You want ingredients with a clinical study to backup their claims. And you want a product that will do what it says it will. There are literally hundreds of Skin Correcting Serums online all claiming to have the best product. But how do you know who to trust? And more importantly, how do you know which product is actually going to work for you? With all of the products out there, you want to make sure you get the highest quality product available, period. How Do You Find A Skin Correcting Serum That Will Actually Work? We understand that your end goal is to lighten and brighten your skin, reducing the appearance of blemishes and dull skin to maintain a youthful appearance. Plain and simple. And you want the best Skin Correcting Serum to help you do that. You don&apos;t want to waste your time or money on something that won&apos;t work. So, how do you find a Skin Correcting Serum that will actually help you achieve the appearance that you&apos;re looking for? 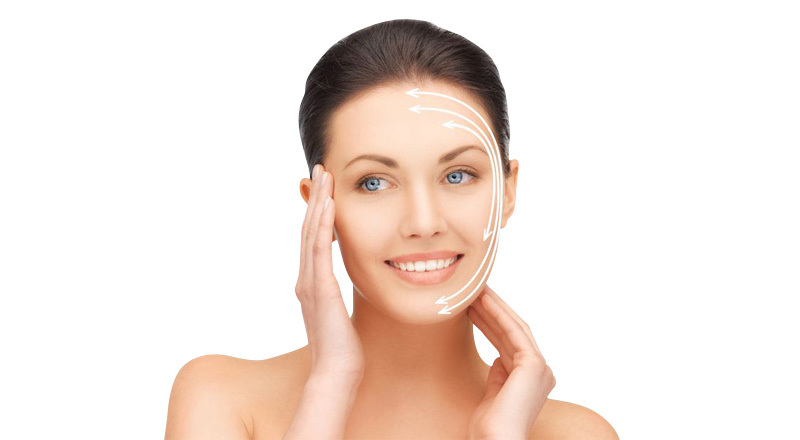 At Agelyss™ we understand that the active ingredients are what make the product work. That's why Agelyss™ Age & Dark Spot Remover uses a potent concentration of 10% clinically-proven active ingredients. This is unheard of in the skin care industry. Why? Because many companies are led by cost issues and not research. While the percentage of active ingredients is very important, the variety is also just as important. Why? Well, each ingredient serves a different purpose, and when combined, will get you the results that you're looking for. You would need to apply 5-7 different Skin Correcting Serums to get the same effect as the Agelyss™ Age & Dark Spot Remover due to the different types of active ingredients it contains. If you look at most Skin Correcting Serums out there, you'll notice that they have maybe 1 or 2 active ingredients. Some are clinically-proven, others are not. While often 1 active ingredient could be very strong and effective for a certain issue, it is usually not the perfect solution as a total care, all encompassing Skin Correcting Serum. The Agelyss™ Age & Dark Spot Remover contains not 1 or 2 clinically-proven ingredients, but 5 patented and trademarked clinically-proven ingredients. Each active ingredient serves a purpose to create the perfect Skin Correcting Serum that will deliver top class results. No other product on the market comes close. Agelyss™ Age & Dark Spot Remover contains, not 1 or 2 active ingredients like other brands, but 5 patented and trademarked clinically-proven active ingredients. A skin brightener developed from a botanical extract of Alpine plants, Alpaflor® Gigawhite™ naturally reduces tyrosinase activity in order to inhibit melanin production. Reduces skin discoloration and lightens age spots for a brighter, luminous and more even skin tone. A stable form of vitamin C that provides powerful antioxidants to stimulate collagen production and increase skin firmness. Helps to protect the skin from photo-damage and visibly enhance its tone and appearance. Shown to improve the appearance of acne and age spots. A nature-identical trans-resveratrol, REGU®-FADE is a powerful antioxidant which is free of pesticides and preservatives. Visibly lightens and brightens skin by reducing safely hyperpigmentation for fast delivery of radiant and youthful-looking skin. Based on the stem cells of the, extremely resistant, alpine rose leaves which contain special epigenetic factors and metabolites. Proven to preserve human skin stem cells' function, protect from harsh external elements and aid skin cell renewal. Agelyss™ was created to make it easier for consumers to find a high quality skin care and beauty products that they can trust at the best possible prices. If any Skin Correcting Serum is going to work for you, this is it. If you're serious about the health of your skin and stopping the signs of aging, then you should try a product that is serious about helping you achieve your goals. We did extensive research to ensure that we found the best Skin Correcting Serum on the market and are so confident that it&apos;s going to work for you, that we&apos;re offering you a full year to try it out. We are experts in skin care. Period. We have spent years researching and developing a range of products that make the difference that you are looking for. Agelyss™ is well-renowned for delivering revolutionary new products that stand head and shoulders above its peers by utilizing scientific data and research to provide first class skin care formulas. Agelyss™ is the #1 choice of skin care professionals and beauty experts all over the world. Why Does Agelyss™ Have The #1 Skin Correcting Serum? Agelyss™ Age & Dark Spot Remover meets all of the criteria listed above. It’s the highest quality Skin Correcting Serum of its kind available on the market and, it works. 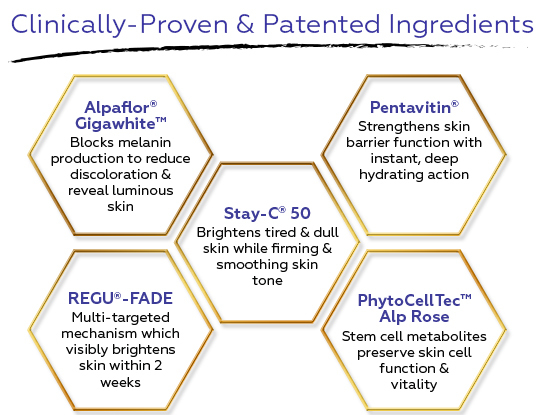 Agelyss™ products are formulated using an unparalleled strength of active ingredients - 10% active ingredients (similar products only contain 2%) PLUS, they contain at least 5 proven ingredients that are patented and trademarked and backed by clinical studies. Agelyss™ creams and serums not only meet all of the criteria of a top quality, effective skin care product - they exceed them! Which Age & Dark Spot Remover Should You Buy? For instant brightening effects, long-term toning benefits and beautiful, luminous looking skin, Agelyss™ Age & Dark Spot Remover is the answer. This unique skin brightener and toner meets all of the above criteria (and more) and is guaranteed to work - or your money back! Why take chances when it comes to the health of your skin? You deserve the best, so choose the best.